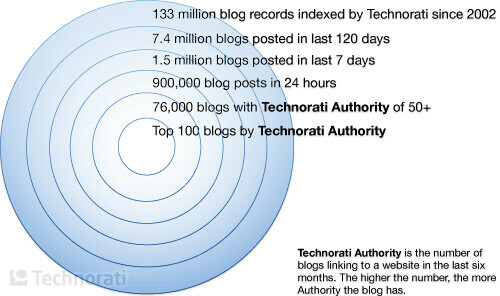 Technorati has just released its latest State of the Blogosphere 2008 report. Technorati now tracks 133 million blogs, but only 1.5 million of those blogs were updated during the last 7 days. Here are some of the findings, with comments about the Swedish blogosphere as a comparison (from the BlogSweden 3 survey). 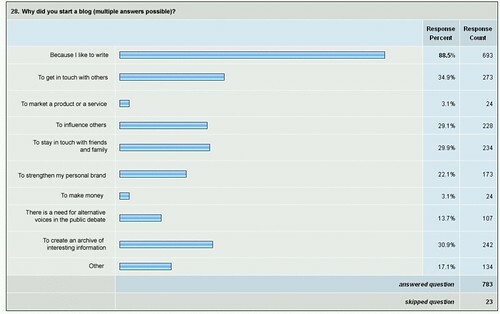 – Female bloggers: topics are more likely to be personal. 66% blog about personal musings (Swe: female blog readers like to read blogs about fasion and design (53%) and everyday life experiences (52%)). Personal/lifestyle most popular blog topic. 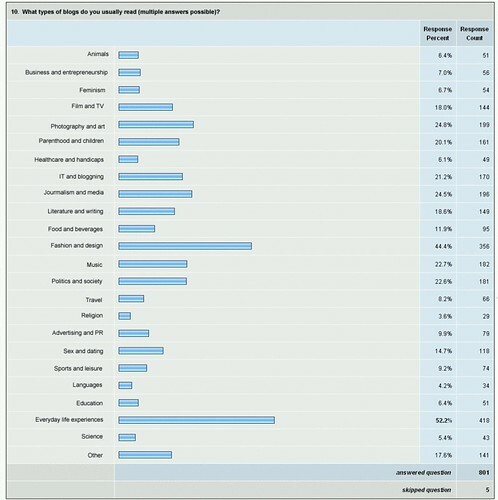 Sweden: the most popular blog topics to read is “everyday life experiences”. Self expression and sharing expertise are the top reasons for blogging. Sweden: self expression (I like to write) most popular reason to blog. Tags: technorati, blogosphere, statistics, bloggar, technorati. Ping.